It’s hard to improve on a classic chocolate chip cookie, but these chefs and cookbook authors tried. Texas chef Tim Love makes cookies that are crisp on the outside and chewy in the center with milk chocolate chips. San Francisco pastry chef Lori Baker toasts butter until chestnut-colored and nutty-smelling before using it to make cookie dough. How do you make a chocolate chip cookie more decadent? Stuff it with ganache, of course—as pastry chef Jessica Sullivan does. Washington, DC, chef Erik Bruner-Yang makes a sweet and savory miso buttercream to serve with his chocolate chip cookies. Genius French pastry chef Pierre Hermé goes for double the chocolate with his cookies, adding Dutch-process cocoa to the dough. Christina Tosi, sugar lover and the brilliant mind behind Momofuku Milk Bar, adds candy corn to her cookies, when she can find them. 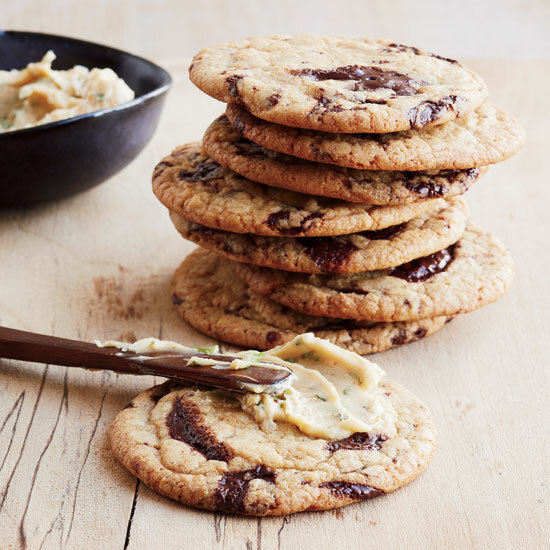 Dark and white chocolate chips are the secret to Lisa Yockelson’s cookies. She also adds coconut flakes to make them extra chewy.